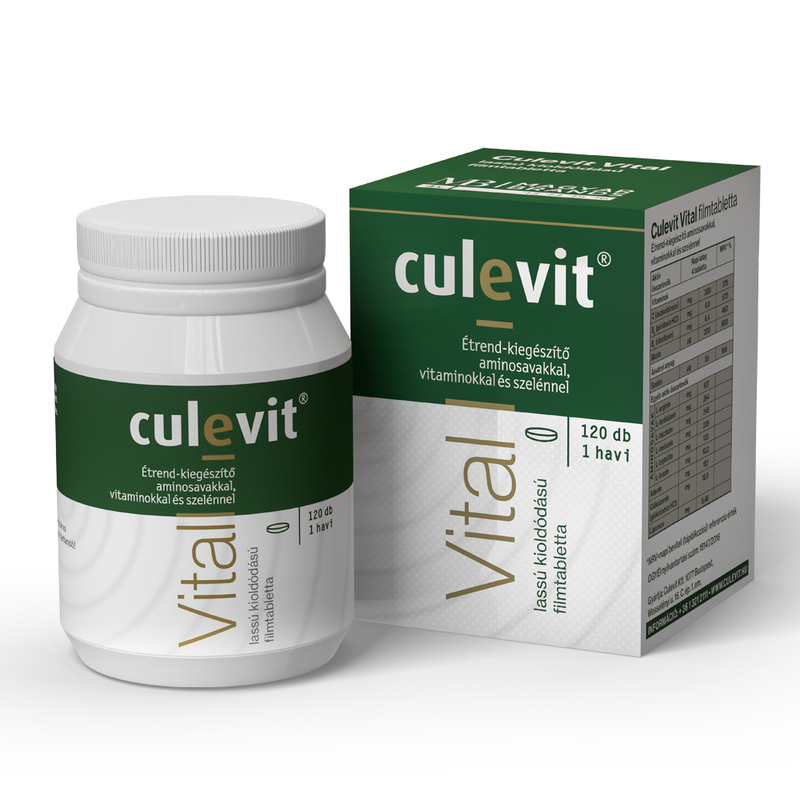 Culevit Vital is a dietary supplement recommended for those healthy adults who are following the guidelines of a balanced and diverse diet and who wish to supplement their diet with an increased intake of the active ingredients of the tablet. The prices indicated below apply only in case of online purchase. Feeling tired? Stress is a daily companion? How and when should the product be administered? The recommended daily dosage is 4×1 or 2×2 tablets/day. What are the active ingredients of Culevit Vital? It contains such active ingredients as Vitamin C, B6, B2 and Biotin. 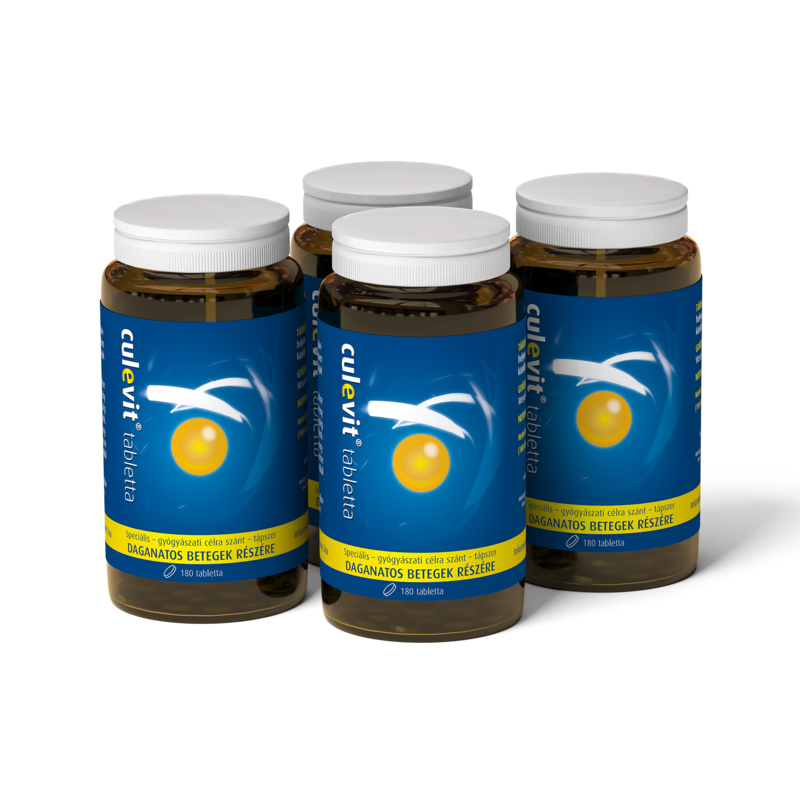 Other active ingredients are amino acids (L-Arginine, L-Phenylalanine, L-Histidine, L-Methionine, L-Tryptophan, L-Tyrosine), one mineral (Selenium) and Adenine, Glucosamine, Lipoic acid. Culevit Vital film-coated tablet (120 tablets/box) can be ordered through the Culevit webshop. Warning: Do not exceed the recommended daily dosage! The dietary supplement does not replace diverse diet and healthy lifestyle! Keep out of reach of children! It is not recommended to take the tablets during pregnancy and breastfeeding, also in case of low blood pressure or in case of patients taking antihypertensives. Due to its Tyrosine content, in case of hyperthyroidism the intake of the tablets is not recommended. Keep it in a dry, cool place! Best before the date indicated on its box.